For exceeding 10,000 customers company wide, national mobile dental repair franchise will give away $10,000 in services. Davie, Fla. – Feb. 24, 2015 – Dental Fix RX, a national mobile dental equipment repair franchise company, will be giving away up to $10,000 in services to dental practices in celebration of exceeding 10,000 customers. The first come, first serve giveaway will grant 200 participants $50-off coupons for any service of their choosing including handpiece repairs, maintenance, new equipment purchases and more. Currently underway and available through the Dental Fix website or email newsletter, the $10K for 10K giveaway will offer dental practices the opportunity to experience the only, on-site dental equipment repair franchise in North America at a discounted price. The first 200 participants will receive a $50-off coupon for any service offered by their local Dental Fix technician, including onsite repairs for complex equipment such as handpieces, sterilizers, x-ray systems, etc., routine compressor maintenance, chair reupholstery, equipment purchases, and more. Unlike other service promotions, Dental Fix’s will allow participating practices to dictate the use of services. Founded in 2009, Dental Fix expanded with its first franchise operators in 2010 and in the two years that followed, the repair company grew to serve nearly 1,700 dental customers. By the end of 2013, that customer base exceeded 3,000 and now, Dental Fix operates nearly 200 franchises in North America with a five year growth plan to dominate the dental service industry with more than 500 locations in Canada, Mexico, and the U.S. Founded in 2009, Dental Fix combines centralized technological and account management services with a unique national network of locally owned and operated industry professionals. Each professional is equipped with “state of the art” mobile service centers. They deliver on-site personalized service for all of your practice’s repair and new equipment needs. For more information, call 800-586-0340 or visit www.dentalfixrx.com. 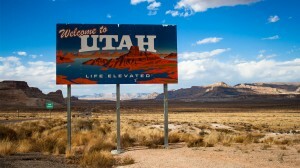 Davie, Fla. – February 23rd, 2015 – Dental Fix RX, a mobile dental equipment repair company, is proud to announce the signing of its two most recent franchises, in Salt Lake City, Utah. Owned and operated by Philip May, the signed agreements will be the company’s first two mobile repair vans to launch in the State of Utah, and are part of an aggressive North American expansion plan calling for 500 all-new vans to be launched within the next five years. Since 2009, Dental Fix has been the only on-site dental equipment repair franchise in North America. Franchisees operate cutting-edge mobile repair centers to offer customized service and high-quality repairs with minimal turnaround time. The service centers also provide the largest mobile inventory in the industry. Click here to learn more about the Dental Fix opportunity. Established in 2009, Dental Fix combines centralized technological and account management services with a unique national network of locally owned and operated industry professionals. Each professional is equipped with “state of the art” mobile service centers. They deliver on-site personalized service for all of your practice’s repair and new equipment needs. For more information, call 800-586-0340 or visit www.dentalfixrx.com. For 48 hours only (Feb. 10 and 11), Amazon.com is offering 12 Amazing Franchise Opportunities for 2015 for FREE . . . all you need to do is click on this link and you can download the eBook free. The eBook normally sells for $7.49 (paperback for $15), but BizCom Press and Amazon have teamed up for this special promotion. Take advantage of it, save some money, and read about some amazing franchise brands, including (INSERT YOUR BRAND NAME). Remember, the offer begins at midnight Feb. 10 and ends at midnight Feb. 11 –you’ve got 48 hours. 12 Amazing Franchise Opportunities for 2015 was written by one of the world’s authorities on franchising, Dr. John Hayes. He not only featured 12 amazing brands in the book, but he also included 17 Steps to Successfully Buying a Franchise . . . Funding Your Franchise Acquisition . . . and Match Your Personality to the Appropriate Franchise Opportunity. The book is an Amazon Best Seller and has won the praise of many readers and franchise authorities. Go ahead, click here, get your copy now! Davie, Fla. – February 10th, 2015 – Dental Fix RX, a mobile dental equipment repair company, is proud to announce the signing of two new franchises in the Omaha, Nebraska area. Owned and operated by the father and son team of Bill and Lance Zechmann, the signed agreements will abe the first two mobile repair vans to launch in the State of Nebraska, and is a part of an aggressive North American expansion plan calling for 500 all-new vans to be launched within the next five years. 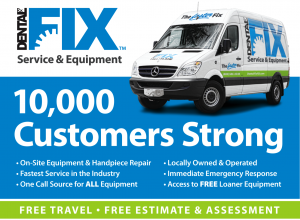 Davie, Fla. – Feb. 9, 2015 – Dental Fix RX, a mobile dental equipment repair franchise company, now provides regular services to more than 10,000 dentist offices across the U.S., Canada and Mexico. The announcement comes less than five months after the franchise business broke the 8,000 customer mark and less than six years after its initial founding. Following its founding in 2009, Dental Fix RX launched its first franchise operators in 2010. By the end of 2012, the franchise company was operating mobile repair vans in approximately 20 U.S. markets and servicing nearly 1,700 customers. One year later, Dental Fix’s customer base nearly doubled and by the end of the third quarter of 2014, the franchise continued to increase by surpassing 8,000 customers only to break the 10,000 mark in early February, 2015. Dental Fix RX is currently the only on-site dental equipment repair franchise in North America, offering customers customized service that produces high-quality repairs in a short amount of time. Built around a franchise model that has increased the company’s resource base for technical support, parts and equipment, each Dental Fix owner receives extensive and professional training before, during and after their launch dates. Dental customers receive onsite repairs for their complex equipment, including handpieces, with zero travel charges incurred and free estimates offered in order to provide a risk free and cost effective solution. To find out more about Dental Fix RX franchises, visit http://www.dentalfixrx.com/franchise/. Davie, Fla. – February 1st, 2015 – Dental Fix RX, a mobile dental equipment repair company, is proud to announce the signing of its first franchise in the Pittsburgh, PA area. Owned and operated by David Brennen, the signed agreement will be the fourth mobile repair van for the State of Pennsylvania, and is a part of an aggressive North American expansion plan calling for 500 all-new vans to be launched within the next five years. 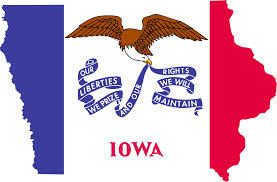 Davie, Fla. – February 1st, 2015 – Dental Fix RX, a mobile dental equipment repair company, is proud to announce the signing of its first franchise for the greater Sioux City, IA area. Owned and operated by Michael Porter, the signed agreement will be the first mobile repair van for the State of Iowa, and is a part of an aggressive North American expansion plan calling for 500 all-new vans to be launched within the next five years.